January 29, 2019 – The polar vortex is a large area of low pressure and cold air surrounding the Earth’s North and South poles. 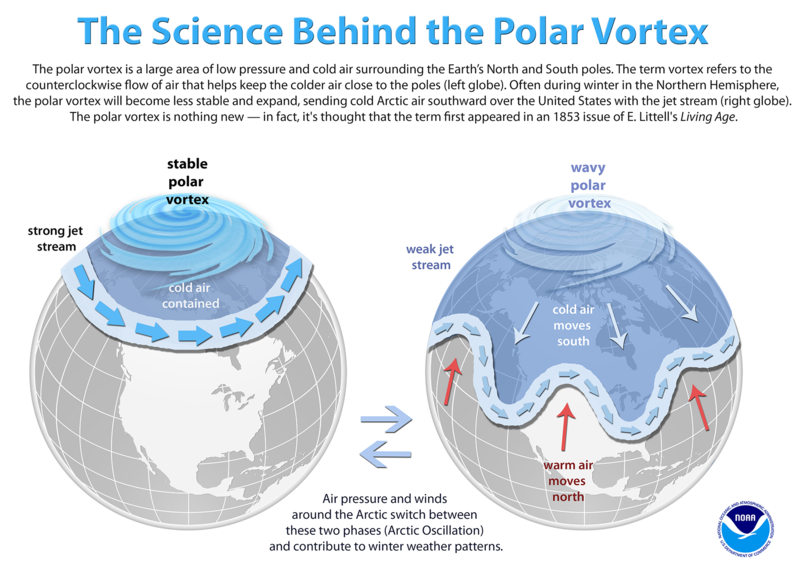 The term vortex refers to the counter-clockwise flow of air that helps keep the colder air close to the poles (left globe). 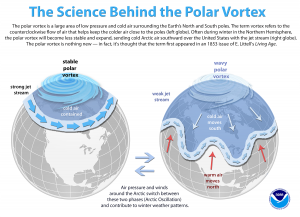 Often during winter in the Northern Hemisphere, the polar vortex will become less stable and expand, sending cold Arctic air southward over the United States with the jet stream (right globe). The polar vortex is nothing new – in fact, it’s thought that the term first appeared in an 1853 issue of E. Littell’s Living Age. Previous articleCA DOJ Releases Report on Use of Force Policies and Procedures within the Sacramento Police Dept.